Can we choose the region where the VM is deployed? Yes, you can choose the region and even change it later on at will from the web console or command line. 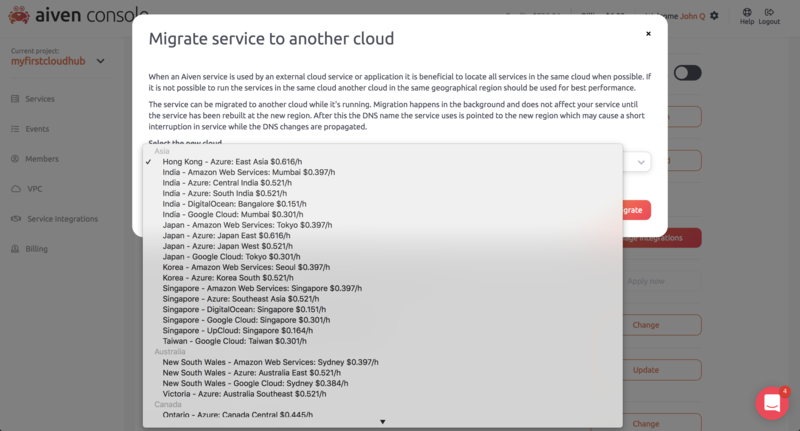 You can check the available clouds and regions at aiven.io.